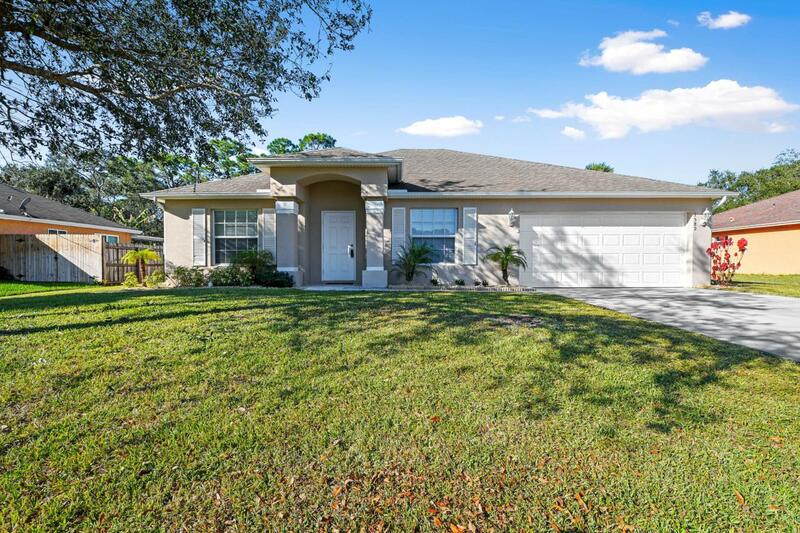 Spacious 3 BR 2 BA 2 CG CBS home in SW Port St Lucie. Formal living and dining areas with eat in kitchen. Corian counter top, vaulted ceilings, split floor plan, and inside laundry room. Private backyard on a DROW and covered screen porch for your peaceful enjoyment of the great outdoors. Great location offers easy access to shopping and schools. Just minutes from crosstown pkwy and I95 access. This home is ready for you now ! !